Our fascinating jungle themed playground area has been set up for this age group of walkers and runners! Our signature feature is a fantastic climbing structure. Inside this amazing structure all sorts of interactive features including obstacle courses and ramps leading up to slides and several levels to explore. 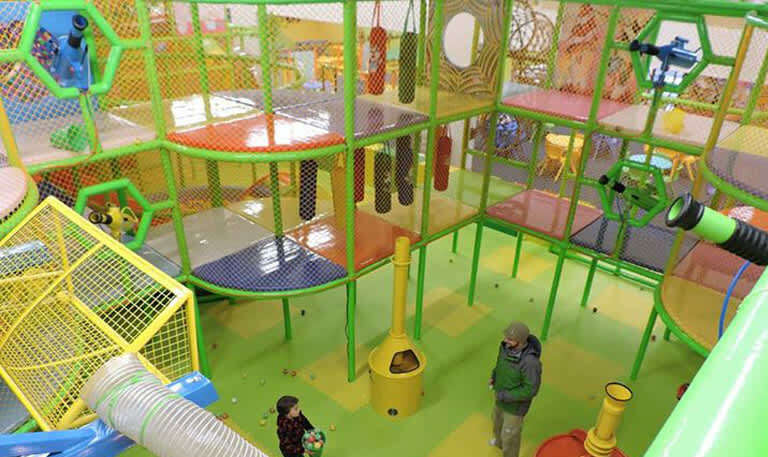 The playground includes a spider tower and huge soft air guns shooting areas where kids can aim from different levels! The area includes multiple obstacles courses and many more! The playground is all enclosed for safety yet fully accessible for parents. Get some extra hang time with our Robe Course obstacles on FunVille's Rope Course!. Learning the ropes has never been more exciting; with another up-n-the-air adventure that tests your balance and agility. The stakes are high as you and your friends learn confidence, however safety is assured since you are securely harnessed as you make your way through the course. The toddler Playground provides a stimulating physical environment that is shared by sitters and crawlers. There is plenty of room for the parents to sit while kids explore the toddlers' area! 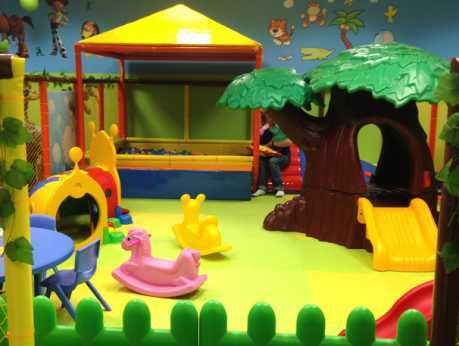 One of our play structures is specifically designed for the under 36″. It offers climbing and sliding at just the right size. 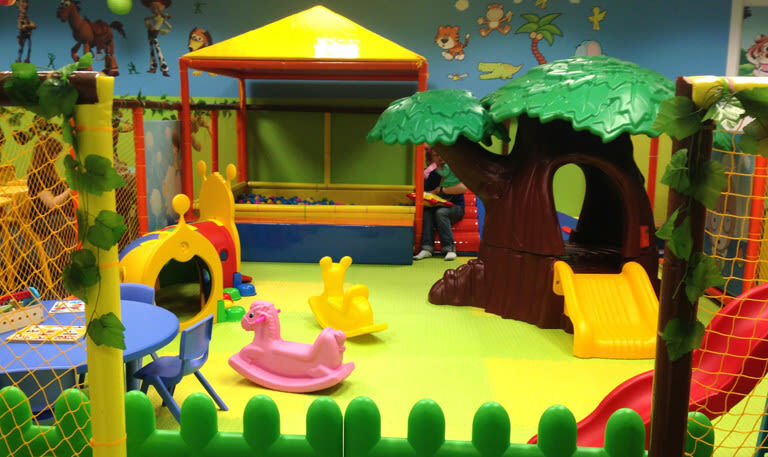 There is ample space to run and play, with soft features to balance on, scramble over and crawl through! 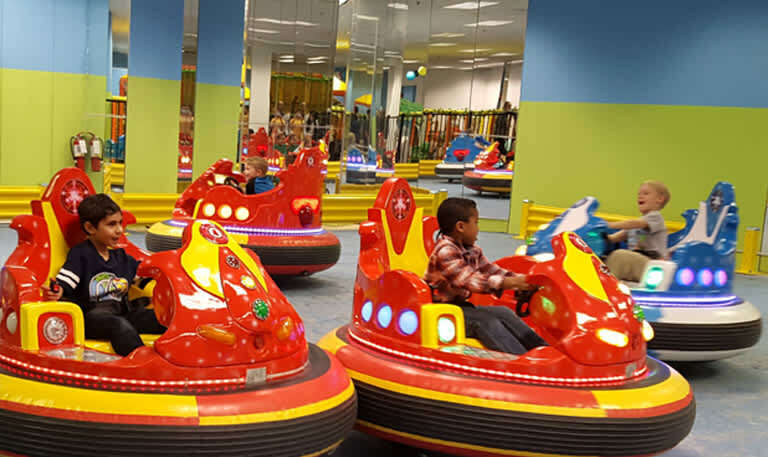 Crash into fun with Bumper Cars for only $5.00 per person! Get behind the wheel and start your engine! No driver's license? No problem! All you need is permission to have fun. Cars are fully maneuverable and able to spin 360 degrees; no more getting stuck in the corner! This high-energy adventure is suitable for guests taller than 36″, and perfectly safe! Just buckle your seatbelt and Crash! For our guests, we wanted a comfortable seating area to feed little hungry tummies and where parents can relax and grab a bite while watching their kids play! We are proud to offer fresh, handmade food, ranging from salads to sandwiches and burgers, and our anything-but-standard pizza and cheese steaks. Our individual bistro tables and chairs.